THERE IS A NEW APP UPDATE! Small Batch glamour shots, plus a new icon for the Small Batch category. Improved access to pairings from individual colorways. New layouts for pairings of 2, 3, 4, 5, 6, 7, and 8 colors! 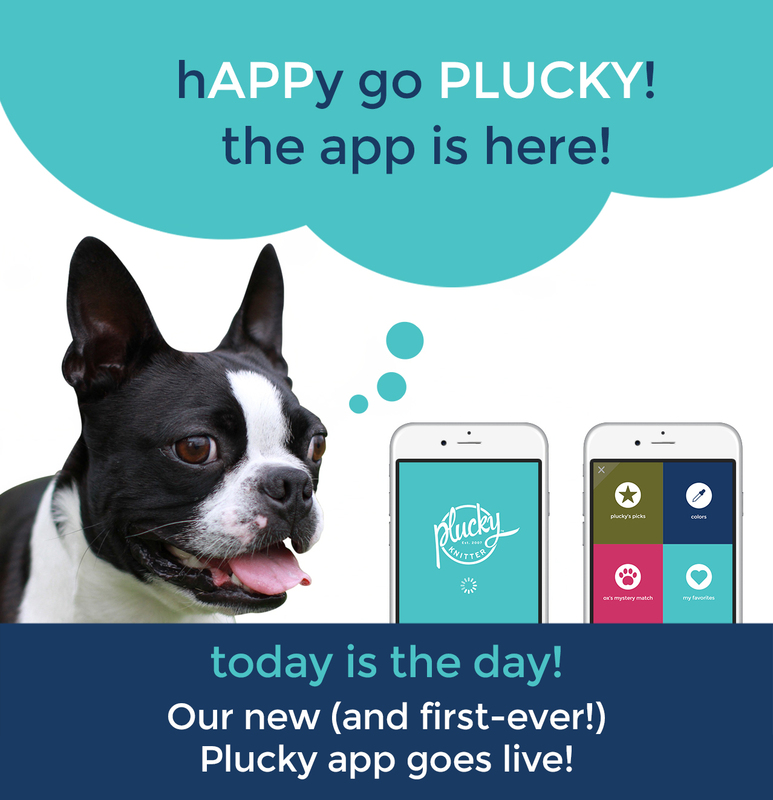 If you are already using the Plucky App, you will need to update your existing app. Please note, you will not be able to see these new updates until you have updated your app. If you are new to the Plucky App, we hope you will download out newest version (links below). https://www.thepluckyknitter.com/wp-content/uploads/2017/05/new_small_logo@2x.png 0 0 Sarah https://www.thepluckyknitter.com/wp-content/uploads/2017/05/new_small_logo@2x.png Sarah2016-07-12 15:41:332016-07-13 09:18:12New App Update! Happy Go Plucky – Updates to the App! As promised when we first launched the Plucky App, we are continually working behind the scenes to bring greater ease and more information into the app. This is an ongoing project! In the coming days, look for an updated menu screen with direct access to announcements and to the shop (Reserve and Swag! Yes, we’re bringing more Swag back!). We are continually working to make the Plucky App your most valuable planning tool. More updates to come in the near future. https://www.thepluckyknitter.com/wp-content/uploads/2017/05/new_small_logo@2x.png 0 0 Sarah https://www.thepluckyknitter.com/wp-content/uploads/2017/05/new_small_logo@2x.png Sarah2016-05-31 15:08:312016-05-31 15:08:31Happy Go Plucky - Updates to the App! We are thrilled to present the Plucky app! This is a free app that, quite simply, is our gift to you! All you need to do is go to the Apple iTunes Store or Google Play to download it on iOS and Android phones and tablets. View Plucky color pairings—which we will be adding to regularly! View a comprehensive list of the Plucky colorways and color families. Have access to patterns which can be downloaded through your Ravelry library. Experience some little surprises from us…and Ox! 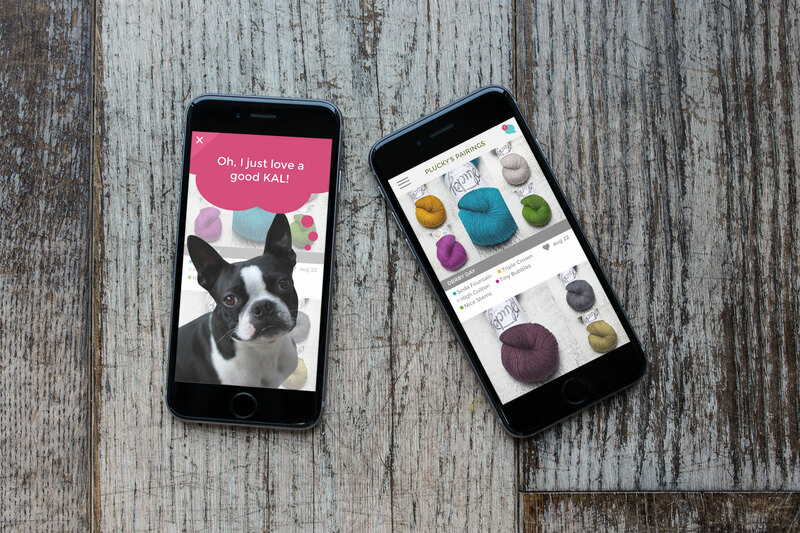 Our new app will provide you with tools that will inspire your knitting, and a library of Plucky colors and pairings at the touch of a finger. 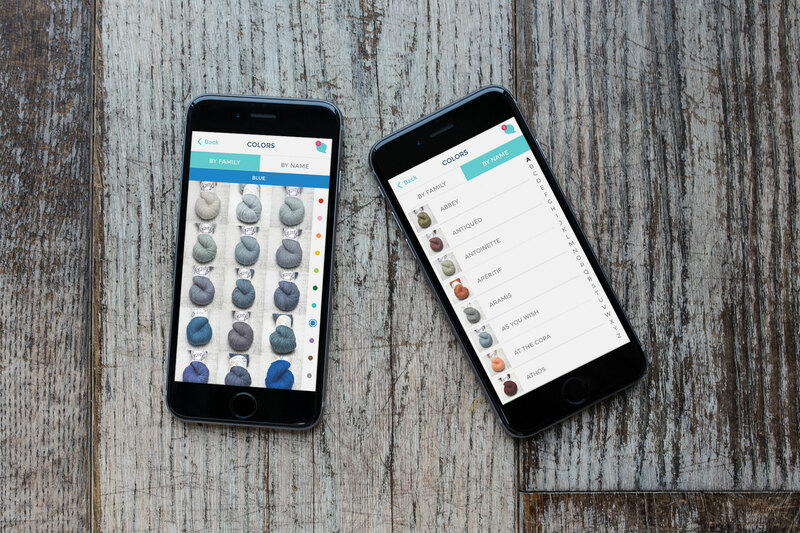 Within the app, we will offer Plucky patterns as well as links to patterns from other wonderfully talented designers with our suggestions for yarn, base, and color pairings. Eventually, there will even be app exclusive patterns, so be sure to keep an eye out for those! But, we wanted this app to be more than eye candy. We have spent countless hours sorting the yarn shots into color families. This means that you will have the option of clicking “green” and immediately being taken to a page that will have sorted all the greens for you. Once you see all the Plucky greens you can select your favorite colorway, then click “See Pairings”, and voila! As mentioned a bit earlier, our Plucky app will also be filled to the brim with fun. And, Ox will have a lot to say! He will offer reminders of upcoming events, make announcements, and throw in his two cents every once in a while. Ox will even have his own occasional Mystery Matches. We’re never quite sure what he has up his paws, so stay tuned once you download the app. The app will also have push notifications which will alert you to an upcoming Update. If, at the last minute, I add new bases and/or colors to an update (as I have been known to do!) a push notification will be sent in plenty of time to make or adjust your planning! I do want to emphasize that the app will not replace Hayley or me being on the boards and assisting you however we can. It is our hope that the app will be an invaluable tool in helping you with your “plotting and planning” any time you choose. We are so excited and hope you are too! Our goal was to create something for you that would take your customer experience and creativity to new heights. This free app will hopefully do just that! 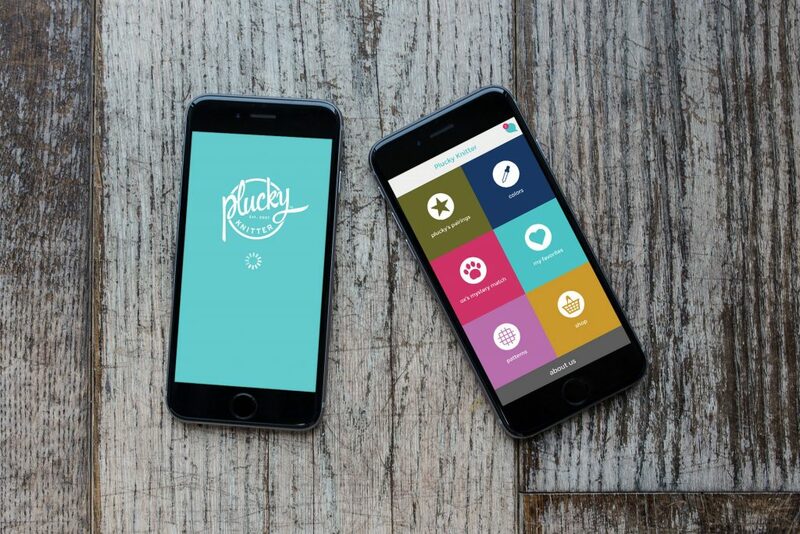 We hope you will enjoy exploring the Plucky app and finding all the ways it can work for you. It has been a privilege to create this gift for you.